DEL - increased from daily to 10 weekly nonstop flights i.e. daily A 343s + 3 weekly A 320s. CCU - capacity increased to 2 weekly A 332s and an additional 3rd weekly flight will be operated from mid September onwards. TRV - capacity adjusted to 6 weekly A 321s + weekly A 320. Thai Airways has confirmed that it will be increasing its flights to Delhi, India by adding an additional 4 weekly services flown nonstop from its BKK hub. 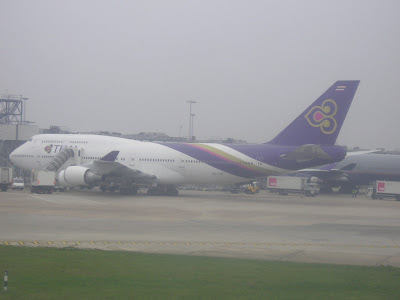 All the 4 extra weekly flights will be operated using a 2 class configured Boeing 747-300 effective May 16th 2008. Currently, TG flies BKK-DEL daily using a 2 class Boeing 777-300A. As a result, TG will now be flying 11 times a week between the two cities. 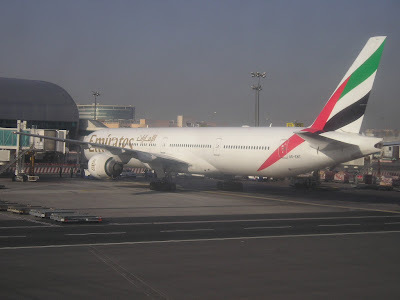 UAE-BOM : can be increased from 9150 weekly seats to 10,400 from Winter 2008-09. UAE-DEL : can be increased from 6259 weekly seats to 7800 from Winter 2008-09. UAE-MAA : can be increased from 3607 weekly seats to 5600 from Winter 2008-09 and further up to 6400 weekly seats from Summer 2009. 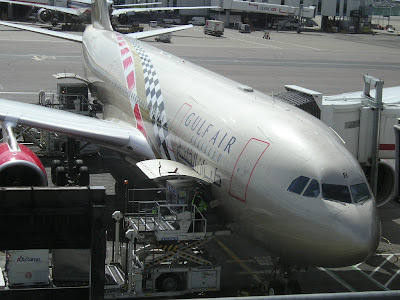 UAE-CCU : can be increased from 2000 weekly seats to 3300 from Winter 2009-10 only. UAE-COK : can be increased from 2785 weekly seats to 4500 from Winter 2008-09. UAE-HYD : can be increased from 4850 weekly seats to 6200 from Winter 2008-09. UAE-TRV : can be increased from 2000 weekly seats to 2900 from Summer 2009 and further up to 3300 weekly seats from Winter 2009-10. UAE-BLR : can be increased from 4449 weekly seats to 5600 from Winter 2008-09. UAE-AMD : can be increased from 2000 weekly seats to 3300 from Summer 2009 only. UAE-CCJ : can be increased from 2100 weekly seats to 3400 from Winter 2009-10 only. UAE-ATQ/PNX/GOI : application submitted but not approved as yet by Indian Goverment. Turkish Airlines has announced that it will be increasing its flights to BKK-Bangkok, Thailand from Istanbul effective 11th July 2008. Three extra weekly flights will be flown using an A 340-300 in addition to the current daily nonstop service that uses an A 330-200. PER - increased from 4 weekly to daily nonstop flights using a B 763ER. AKL - increased from 4 weekly to daily flights i.e. 3 nonstop + 4 via BNE. All flights will be flown using a B 763ER. British Airways has revealed that due to expected high volumes of premium passengers flying their new Heathrow-Houston nonstop route in the foreseeable future, it will be increasing capacity on this oil/energy route by deploying double daily Boeing 747-400s effective October 2008. Currently, LHR-IAH is flown double daily with Boeing 777-200ERs. There is also speculation that we might see a BA/AA/CO trans-atlantic alliance emerge in the near future as CO has stated that it wants to leave Sky Team and this statement has sparked off talk of a possible AA/CO merger taking place similar to the type of DL/NW. MAN/JFK - daily B 763ER flights to be suspended from Oct 27th. LGW/JFK - new daily nonstop flights will be launched effective Oct 28th using a B 772ER. LHR/YYC - increased to daily B 763ERs for the Winter 08-09 season. Biman Bangladesh has finally placed an official multi billion dollar order with Boeing for 4 new Boeing 777-300ERs plus 4 Boeing 787-800s. BG also has purchase option rights for another 4 of each airplane model type. Deliveries will be made from 2013 onwards for the B 773ERs where as the B 788s will arrive from 2016 onwards. In the meantime, the carrier is looking to lease up to 4 used Boeing 737-800s + 2 Boeing 777s as it looks to retire its aging DC 10-30s as soon as possible. Tunisair of Africa has agreed to purchase new wide & narrow bodied aircraft from Airbus earlier on this week. It has signed a contract for 3 A 358s + 3 A 332s + 10 A 320s. Currently, Tunisair's high density flights are flown by three AB6s where as its short haul flights are flown with B 735s and B 736s. YYZ/NRT - capacity reduced to daily B 772LR instead of B 773ER. YVR/NRT - will be flown using a B 763ER instead of a B 773R. YYZ/PEK - will be increased to 5 times a week service effective Jan 1st 09. YYZ/PVG - additional 4th weekly nonstop flight using a B 773ER will be flown effective Jan 1st 09. Due to operational reasonals combined with rising fuel costs, Delta Airlines has finally decided against launching planned flights to Nairobi and Lagos flown from its JFK hub. Both NBO and LOS were supposed to start from October 2008 but are now shelved. DL will however continue to operate daily ATL-LOS nonstop flights. Lufthansa will be launching new 6 weekly flights to PNQ-Pune, India nonstop from its Frankfurt hub effective July 1st 08. These flights however will be flown using an all business class configured Airbus A 319LR. Royal Jordanian will be reducing its frequencies to Delhi effective June 4th as it will be deploying the larger Airbus A 310-300 on the AMM-DEL route instead of the A 319 which is currently being used. The A 319s presently fly AMM-DEL six times a week. From June 4th, RJ will revert back to its original 3 weekly A 310 operated services between the 2 cities. Korean Air will be increasing its flights to DFW-Dallas and LAS-Las Vegas respectively from the on set of the Winter 08-09 timetable by adding an additional nonstop 4th weekly flight to each city using a Boeing 777-200ER. China Cargo Airlines of Shanghai has officially confirmed that it will be leasing 6 Boeing 777-200LR freighters from GECAS plus another 4 from Boeing directly. These 6 B 77Fs will be used as a direct replacement aircraft for the carrier's 6 MD 11Fs. In addition, to the MD11Fs, the airline also has a portfolio of 3 AB6Fs + B 744ER freighters.